(AUSTIN, Texas – May 8, 2018; source: Juice Consulting) – MassChallenge™, a not-for-profit global network of zero-equity startup accelerators today announced the first annual MassChallenge Texas Startup Showcase to take place May 23at the JW Marriott (110 E. Second St., Austin, Texas 78701) from 5 – 7 p.m. The showcase is the first opportunity for the Texas innovation ecosystem to connect with all of the MassChallenge Texas 2018 finalists. The event will feature an open-floor, trade show-style expo showcasing startups from MassChallenge Texas’ inaugural cohort. Beverages and snacks will be served. The event is $5 for entry and open to the public. Tickets can be purchased here. The Startup Showcase is a celebration for the MassChallenge Texas 2018 finalists and a first look at emerging technologies and new businesses for the community. The showcase includes demonstrations from entrepreneurs in the cohort, as well as announcements and acknowledgments of the Texas innovation ecosystem. Also at the event, foundingAUSTIN™ magazine will launch its premiere episode of its brand new “Up and Comers” podcast series, which will focus on the Austin’s startup community. As part of this launch, MassChallenge Texas will host a People’s Choice Award where attendees will vote on their favorite startups at the showcase. The winning startups will receive a featured podcast on foundingAustin’s “Up and Comers” series. In April 2018, 84 of the world’s highest impact, highest potential early-stage startups moved into Austin, Texas to participate in MassChallenge Texas’ inaugural cohort. Companies come from as far away as Greece and Zimbabwe and from all corners of the Lone Star State. The accelerator will culminate on Aug. 15, 2018 at the MassChallenge Texas Awards Ceremony, where the top startups from the accelerator’s inaugural cohort will pitch for the opportunity to win a portion of up to $500,000 in equity-free grants. Startups that participate in the accelerator receive a custom curriculum designed to meet them where they are in their entrepreneurial journey, from market research to launching pilot programs, intellectual property and licensing, to fundraising and investor relations, sales and marketing strategy, to working with corporate partners and more. The 84 companies have called the new WeWork West 6th space home and have access to a complimentary, Texas-wide WeWork community membership for six months; that includes the four months of the accelerator and two months after. MassChallenge Texas and WeWork will host a series of events in the West 6th space to connect both communities to the broader Texas startup ecosystem. 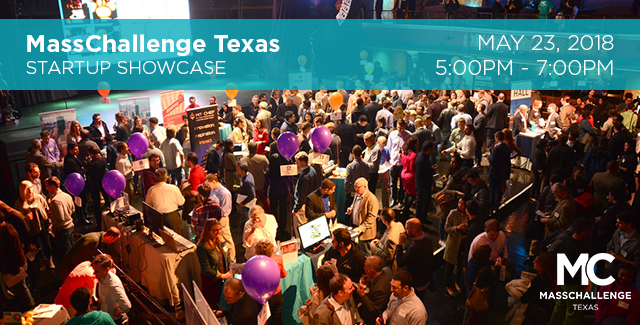 Please check MassChallenge Texas’ Facebook events calendar to learn more. MassChallenge Texas’ success in sourcing its 2018 cohort is due in large part to the support it received from the Texas startup community. After the program’s launch in October 2017, the MassChallenge Texas team embarked on a seven-week roadshow and hosted 37 events across the state including in Arlington, Austin, Dallas, El Paso, Fort Worth, Houston, San Antonio and San Marcos. These 84 startups join MassChallenge’s established international community of 1,495 alumni. The complete list of 2018 startups can be found here. City of Austin Mayor Steve Adler, City of San Antonio Mayor Ron Nirenberg, Austin Representative Eddie Rodriguez; founding corporate partners Southwest Airlines, TMAC, WeWork, USAA, and Upstream; AngelSpan, Austin Chamber of Commerce, Austin Community College, Austin Community College Bioscience Incubator, Austin Film Society, Austin Healthcare Council, Austin Technology Council, Austin Technology Incubator, Blackstone LaunchPad at UT Austin, Blackstone LaunchPad at UT Dallas, Bexar County, Borderplex Alliance, Capital Factory, City of Austin, City of San Antonio, CompTIA, Dallas Entrepreneur Center (DEC), Department of Defense (DoD), DIUx, El Paso Hub of Human Innovation, Food + City, Founder’s Institute Austin, Galvanize, Geekdom, Goodworks Houston, Greater Austin Chamber of Commerce, Greater Houston Partnership, Greater San Marcos Partnership, Herb Kelleher Center for Entrepreneurship at UT Austin, IC2 Institute, Impact Hub Austin, Juice Consulting, MediaTech Ventures, NASA, National Instruments, Splash Coworking, South by Southwest (SXSW), Southwestern University, Sputnik ATX, STAR Park at Texas State University, Station Houston, Strasburger & Price, LLP, Tech Fort Worth, TechNet, Texas A&M University, Texas Entrepreneur Exchange (TEX), Texas Foundation for Innovative Communities (TFIC), Texas Healthcare and Biosciences Institute (THBI), Texas Small Business Development Centers, Texas State University, University of Texas System, University of Texas at Arlington, University of Texas at Austin, University of Texas at Dallas and University of Texas at San Antonio. MassChallenge is a global network of zero-equity startup accelerators. Headquartered in the United States with locations in Boston, Israel, Mexico, Switzerland, Texas, and the UK, MassChallenge is committed to strengthening the global innovation ecosystem by supporting high-potential early stage startups across all industries, from anywhere in the world. To date, more than 1,500 MassChallenge alumni have raised more than $3 billion in funding, generated over $2 billion in revenue, and created over 80,000 total jobs. Learn more about MassChallenge at www.masschallenge.org.